Prep everything: Chop winter root veg into 1/2″ chunks and prep chicken breasts. Stick it all in the oven: Throw chicken and veg on a sheet pan with olive oil, salt, and pepper (with additional spice if you want). Cook in oven at 210 C (200 C Fan or 400 F) for 20-25 minutes or so, but keep an eye on it after 15 minutes. Make sure you won’t give yourself food poising by eating it: Take chicken out of the oven and check that it is cooked through. Plate and enjoy: When the chicken is done slice up half a chicken breast person and put it on your plate. Take the veg out when soft and slightly charred and add to plate. Don’t throw out the leftovers! Snacks, soups, sandwiches galore. There is plenty to do with the leftovers you cooked and the raw veggies you might have had to buy to make this meal happen. P.S. If you’re a vegetarian just ignore all the parts about chicken. Roasted veggies are delicious on their own, can be eaten over rice, on top of a salad, with eggs for breakfast, or as a sandwich. Your choice of 2 or 3 types of the following winter veg (brussels sprouts, carrots, onions, potatoes) – If buying individually 1 each of onion, carrot, and potato or half of a standard bag of brussels sprouts (depending on which veg you pick) will do for a single person. If buying any of the above in bags is the only option, click here for ideas to what to do with the extra raw veg instead of tossing it or letting it rot in your press. READ THIS ALL FIRST BEFORE STARTING. READING A RECIPE FIRST STOPS YOU FROM MAKING DUMB MISTAKES LATER ON. Get out your chopping board and knife. If you find your chopping board a bit slippy, place a tea towel or wet paper towel under it and it shouldn’t move around as much. Put the veg you chose and the chicken out on the counter, as well as your oil, salt, and pepper (and any other seasonings you decided to go for). *Wash off your veg by rubbing or brushing under the cold running tap before cooking or eating being sure to get off any dirt (* arguably not needed but in here as a best practice for food safety). Cut off the stem end of the Brussels sprouts and remove any gross looking outer leaves. Chop (a.k.a. cut into pieces) your veg to all be roughly the same size. Brussels sprouts should be fine just being halved. Carrots will do well in 1/2″ chunky quarters diced (see steps 3-5 here). Potatoes can be cut into 1/2″ chunks as well (watch this video from 25 seconds for instructions). Onions in 1/2″ chunks (give this method a whirl). Pre-heat oven to 210 C (200 C for fan oven). If you start it now it should be heated up by the time you get the chicken and veg on the pan. Optional, but very helpful: Making the breast a more even thickness will help it cook through at the same rate. You can do this by hitting it the thickest part with something until the whole piece looks the same thickness. Stick anything that touched the raw chicken in the sink to wash with warm soapy water. Recycle and compost what you can, bin what you can’t. Wash your own hands thoroughly with soap and water. You have an option here to either toss all the veggies together together on the sheet tray, or separate into little groups, either way trying to spread them out as much as possible while still leaving a bit of room for the chicken breasts. If you do pile each separately then if one veg is cooking faster than the others later it will be easier to take just those veggies out. Either way, toss a little bit of oil olive, salt and pepper (and additional spices/herbs if you have them on hand and you’re up for it) onto the veg and mix with your hand or spoon until everything is just lightly covered. Pour a little bit of olive oil on the chicken and sprinkle with salt and pepper (and other optional spices if you have the on hand). Don’t use too much salt, and eye ball the rest so the piece is covered, but not just a big pile of spices. If you mess up big time you can wipe some off with a paper towel. Place chicken breasts onto the sheet pan once seasoned. Stick the pan in the oven and close the oven door. And you’re cooking! Set a timer for 15 minutes. While it’s cooking, why not get a head start on cleaning? Make sure to wash anything that touched chicken with warm soapy water. When the timer goes off at 15 minutes just take a peek to make sure nothing is burning. You can give the veg a little toss with a fork, spoon, or whatever you have handy if you’d like. Set a timer for a another 4 minutes. If the veg is burning you can take it out. When this timer goes off it’s time to check the chicken. Take the chicken breast out of the oven and put onto a plate/clean cutting board. The veg should be fine to stay in the oven a bit longer unless it’s actively burning. Cut the breast in half at the thickest part and look inside. If it’s still pink or or the juices aren’t running clear pop it back into the oven. Yes, you will have to wait a few more minutes to eat, but it’s most definitely worth it to avoid food poisoning. If it’s all white inside and the juices run clear then leave on plate for a minute while you check on the veg. Poke each type of veg with a fork to make sure it’s soft and the edges are charred. If anything is still solid it needs to stay in a bit longer. Brussel sprouts can sometimes roast faster than carrots, onions, and potatoes, so if just the brussels sprouts are done you can pick them out. With no chicken left then you can spread the veg out. The secret to roasting is surface area (achieved either through chopping vegs smaller or having them more spread out on the sheet pan). 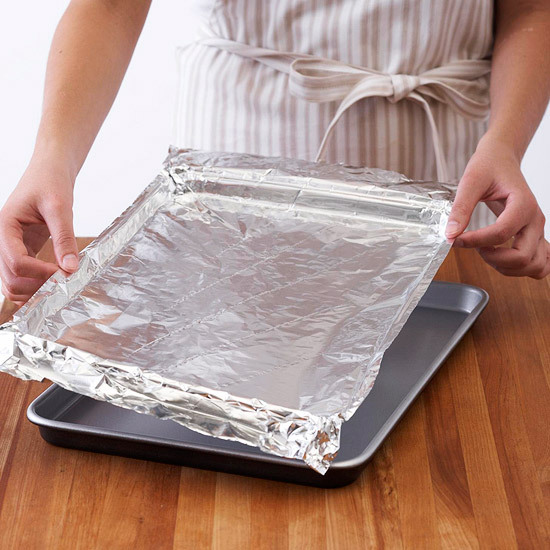 If the veg still isn’t done and you’re worried about the chicken getting cold, then “tent” the chicken by making a small aluminum foil tent over the plate with the chicken on it. Once the veg is soft and a bit charred you can take out the pan (be sure to put something under it to absorb the heat such as a cool hob or towel and not just directly onto a counter). Slice half a chicken breast per person to start and put on a plate with a mixture of the veg. Leave the rest out and try to convince others to try your delicious home cooked food. If that’s a no go, then at least wait until the food is cooled down to store to prevent extra moisture getting captured in your container of choice. Lots of the baked chicken and roasted veg left? Eat it again tomorrow for lunch over rice, as a sandwich or toastie, or over a salad (yes, surprising that works really well). A bag of raw carrots left? Luckily carrots can be used in a wide variety of meals or on their own. Cut into sticks and bring to work/college as a snack, or to grab to eat while watching a film. You can add them to salads or try making glazed carrots as a side (boil them and then coat with a bit of butter and brown sugar). You can add them to soups, or a stir-fry as well, so they definitely won’t go to waste. More raw brussels sprouts left? Honestly general consensus is that they taste best roasted, but maybe later this week roast them with a bit of rasher and apple. Left over raw onions? Again you have lots of options, and onions stored in a cool dry area will last a few weeks so there is no rush. Soups, stir fry, curries… you’ll see onions come up again in recipes in the near future. Extra raw potatoes, aye? Boil em, mash em, stick em in a stew.